Make decorative cookies the same way that Grandma did years ago. 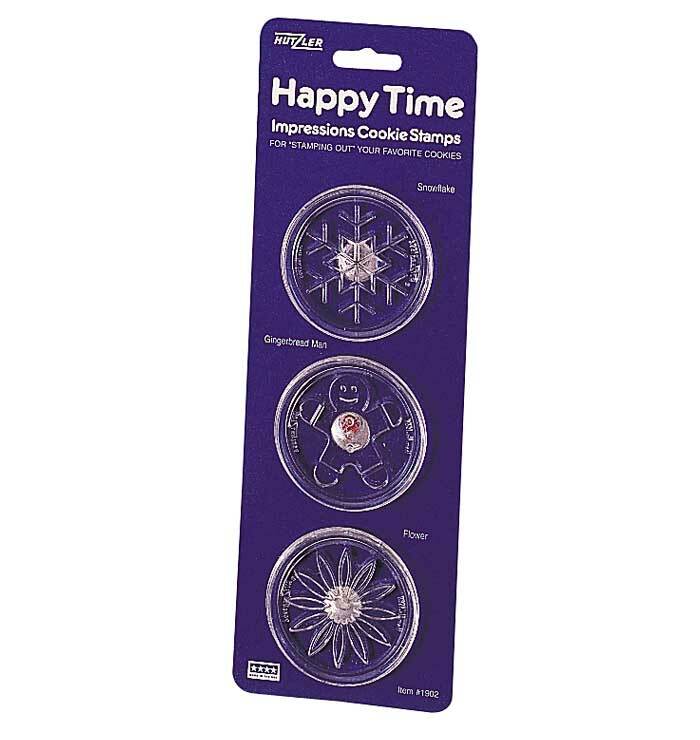 Just roll a ball of dough and press any one of these stamps on top to leave a lasting cookie impression. 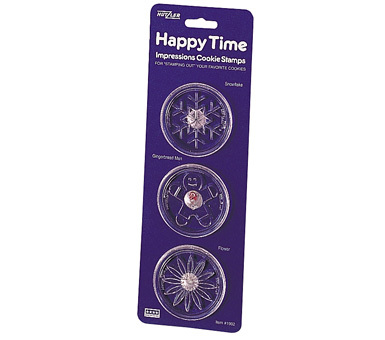 The set is made of acrylic to be strong and durable (especially great for children) while still resembling glass. Recipes and instructions included. Includes: Daisy, Gingerbread Man, Snowflake. Dishwasher safe. Made in USA.